“We cannot demand openness and transparency from others, if those principles are not followed within our own institution.” Heidi Hautala, the Finnish Green MEP and European Parliament Vice-President hit the nail right on the head with her comment last July after the people’s representatives had once again rejected greater transparency over their use of expenses. Without even a hint of irony, The European Parliament’s 15-member executive committee – the Bureau – had behind closed doors blocked a proposal to tighten controls over the MEPs’ General Expenditure Allowance (GEA). This ensured that the European parliamentarians could continue to enjoy their €4,416 a month parliamentary expenses without much scrutiny, costing the European taxpayer around €40 million a year. No requirements are currently in place for the representatives to provide information on how these funds are spent and most MEPs claim the full allowance. Furthermore, in September 2018 the EU General Court even ruled that the Parliament had the right to reject journalists’ requests for greater expenses transparency on the basis of the protection of personal data. This decision immediately begs two obvious questions: 1) what are the MEPs doing with public money that is so private that it cannot be publicly revealed and 2) does the MEPs’ right to privacy really trump the European citizens’ right of access to information as set in the European Charter of Fundamental Rights? The court seems to have regarded the former as a question not worth considering and decided the latter to the benefit of the parliamentarians. Last week it was revealed that the longest serving MEP currently sitting in the Parliament, Elmar Brok, had personally netted almost €18,000 from four groups of visitors by charging them €150 per person to visit the European Parliament as his guests. Nothing like a representative of the people who makes extra money out of the people he represents. But it is not so much the side hustle itself as the allegations that Mr Brok claimed many of the visitor costs back from the Parliament as expenses that constitute the problem within the context of transparency. Easy money. Doubled. Scandals such as this are political gold for Eurosceptics looking to challenge the institution as wasteful and opaque – even if the same Eurosceptics are not any better with their own expenses. For example, last summer the far-right Europe of Nations and Freedom (ENF) was ordered to reimburse the Parliament over €500,000 of misspent public money, while in December the right-wing conservative Alliance of Conservatives and Reformists in Europe (ACRE) was asked to repay over €530,000. This kind of behaviour can only be challenged with greater accountability, which does not exist without greater transparency on the MEPs’ expenses. Overall, European institutions need to become more mindful of the public’s perceptions as well as more open regarding their activities. Simply put, Europe of today cannot be run on the Monnet method of integration by stealth. The politicisation of the EU since the Maastricht Treaty together with the rapid expansion of access to information has resulted in the increased power of political narratives and brought with itself the need for public institutions to repair information gaps between what they do and how they are represented by other political actors in particular. As a directly elected political body, the European Parliament has so far been able to defend its democratic credentials to those willing to listen, but without greater transparency it cannot challenge the wide-spread dissatisfaction with the European project. Opaque expenses spending and unaccounted for meetings with unregistered lobbyists are powerful ammunition to those wanting to portray the Parliament as an inward-looking elitist institution distant from the masses. On the other side of Rue Belliard, the European Parliament’s co-legislator is not making things any easier either. Despite recommendations from the European Ombudsman, the Council has failed to systematically record member state positions on legislative issues and routinely marks documents as not to be published. Transparency in the Council has been viewed as a hindrance to the negotiations between the EU’s 28 members despite academic evidence to the contrary. The secretive nature of the Council has turned lack of transparency into an artform that allows member state governments to take credit or shift blame depending on whether a particular decision made in the Council is likely to be viewed as popular or unpopular within their domestic electorates. In addition, due to inadequate measures for parliamentary scrutiny on EU affairs in many member states, the positions taken by national governments in Brussels can remain hidden and uncontested throughout the decision-making process. This legislative black hole allows for European populists to further stoke the fire of public dissatisfaction by representing “Brussels” as a malevolent entity oblivious to the needs of the people. More often than not, however, this Eurosceptic blame game has centred around the Commission. Yet, as an unelected political institution, the Commission has actually been more sensitive to the calls of unaccountability and lack of democratic credentials than the EU’s co-legislators and has attempted to improve its transparency accordingly. Achieving greater openness was in fact one of President Juncker’s first pledges after assuming the role. For example, the Commissions has staff rules in place for limiting the so-called ‘revolving door’ phenomenon, it conducts trade negotiations in a more transparent manner and has been highly responsive to the recommendations of the European Ombudsman, while commissioners and senior officials are mandated to publish their travel expenses and meetings with lobbyists (who must be registered with the Commission’s transparency register). 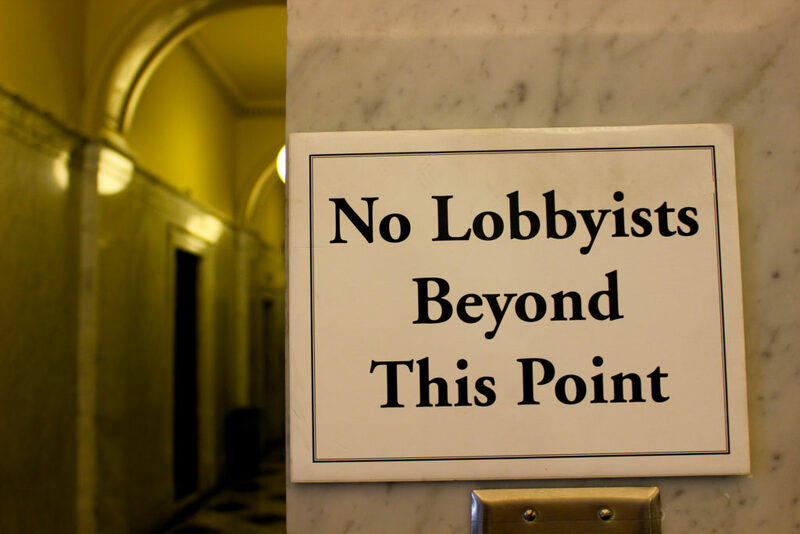 Currently only seven member states have passed national legislation regulating lobbying and only five have a mandatory code of conduct for lobbyists similar in scope to the Commission’s standards. After years of demanding openness and transparency from market actors in the name of competition and trust, the EU’s institutions must reform and unify their own transparency rules for greater accountability and credibility for the Union as a whole. And the first opportunity of the year is rapidly approaching, as the European Parliament will be voting for the first time on binding transparency rules for lobbying activities in its Rules of Procedure tomorrow (31 January). Yet, without a hint of irony the Parliament will be conducting another transparency vote in the opaquest manner possible. This time the European People’s Party (EPP) voted in a secret ballot within the group to demand that the votes on the transparency amendments to the Parliament’s Rules of Procedure be conducted by secret ballot. As the EPP currently holds over 20% of the parliamentary seats, they were able to force a secret ballot on the vote based the Parliament’s Rules of Procedure. On top of this, tomorrow’s vote is shadowed by a particular declaration made by the Parliament’s lawyers in November 2018. According to the EP’s legal minds, mandating MEPs to meet only registered lobbyists and even only voluntarily publishing information about these meetings is illegal based on the MEPs’ ‘freedom of the parliamentary mandate’ – an argument that has also been supported by the EPP. Both the EPP and Alliance of Liberals and Democrats for Europe (ALDE) groups have previously voted against rules allowing MEPs to meet only with lobbyists in the transparency register, which is already compulsory for commissioners and the Commission’s senior officials. It is time to unify the measures. An increasingly politicised union has no choice but to increase the openness of its law-making. Accountability and trust have been burning topics in the current European debate on election manipulation, disinformation, and social media in particular, and the EU must be on the front lines of delivering reliable information to the voting public as well as ensure the accountability of its own actions. Greater institutional transparency is certainly the key to both of these ambitions. Update: On 31 January the European Parliament approved the amended rulebook, including transparency rules and measures to prevent psychological or sexual harassment, by 496 votes to 114.